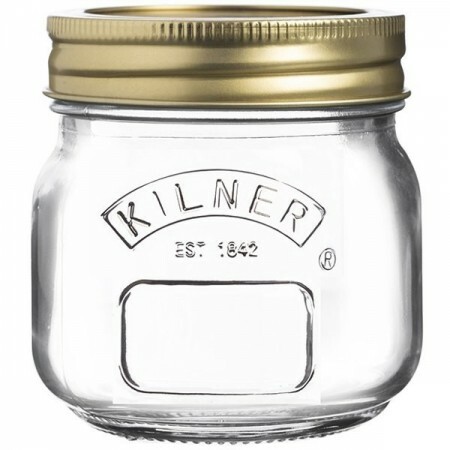 Kilner have been making durable and high quality glass jars and bottles since 1842. Made in England. Non - toxic and BPA free. Preserving jar for jams and chutneys with 2 piece vacuum seal lid. 250ml. 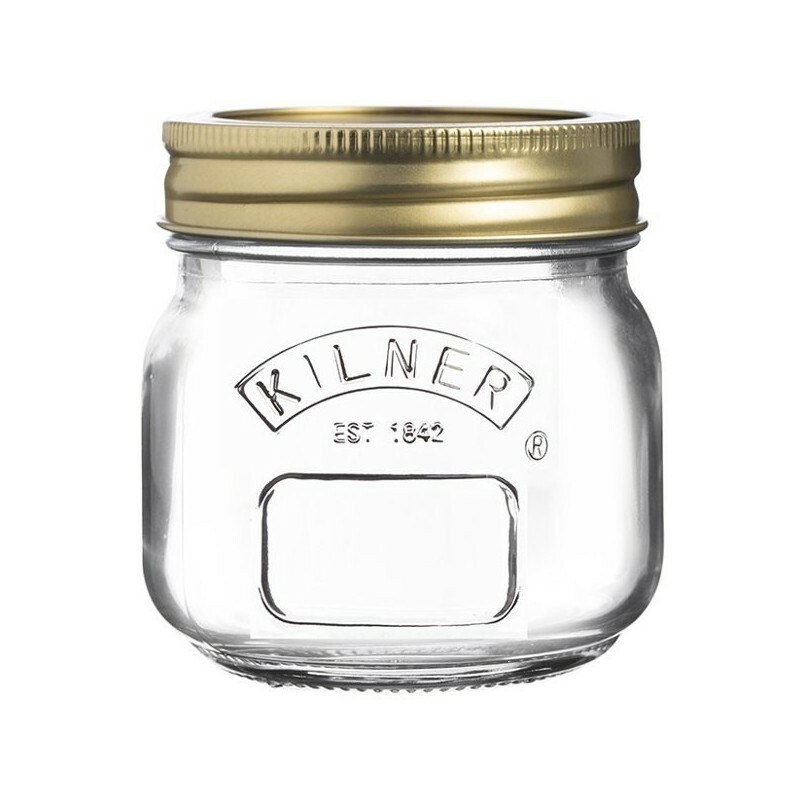 Vintage style preserving jar embossed with Kilner logo. Raised window to place name labels (1 x sticker label included). Jar comes with a 2 piece lid: metal rim and lid to vacuum seal in the preserving process. For preserving: vacuum seal is one use only (then can be recycled) but metal rim can be used up to 10 times. Preserving instructions included in jar. Top rack dishwasher safe, lids should be hand washed. 8cm (H) x 8cm (W) x 8cm (L) 250ml. Glass jar, metal lids. Good quality product and fast delivery. I use these to take yogurt to work each day. Good size, lid reseals well with no leaks and no problems with regular washing.